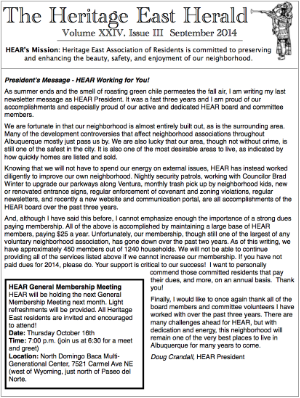 Heritage East Association of Residents (HEAR) is committed to preserving and enhancing the beauty, safety, and enjoyment of our neighborhood. Signs, Signs Everywhere the Signs! Heritage East Association of Residents Web Site is licensed under a Creative Commons Attribution-ShareAlike 3.0 Unported License.